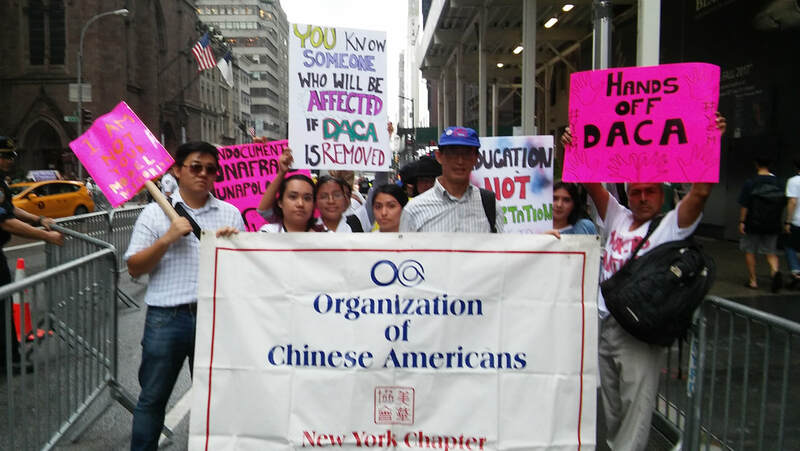 August 15, 2017 - On the fifth anniversary of DACA - we took the streets to demand an end to these discriminatory attacks on immigrant communities! 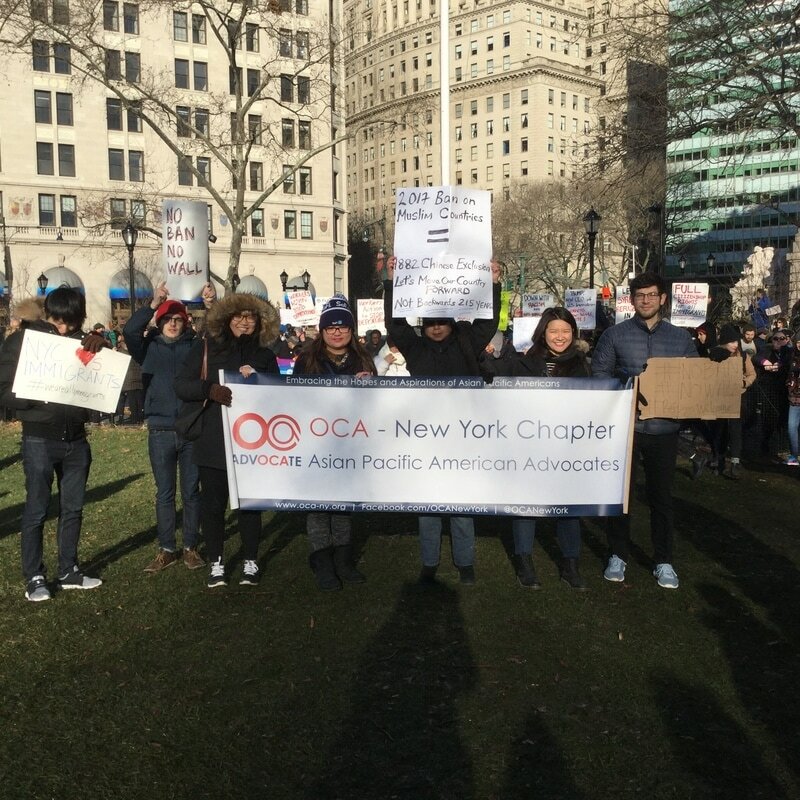 November 21, 2014 OCA-NY participates in rally to support President Obama's executive action to keep immigrant families together. 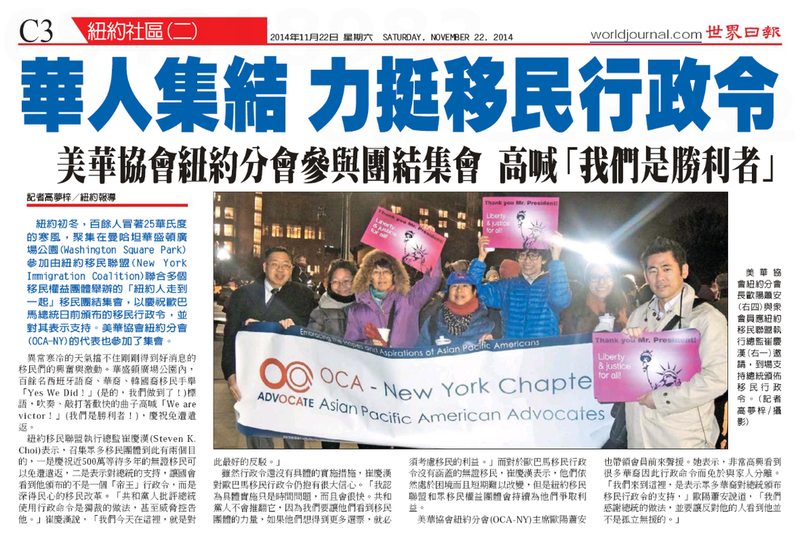 July 31, 2014 Asian Pacific Americans Urge Congress to Vote No on HR 5272 and HR 5230. 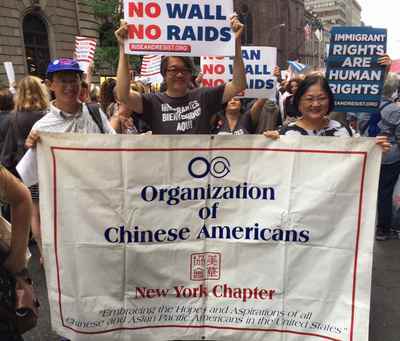 We have long advocated for fair and humane immigration reform that advances the interests and civil rights of Asian Pacific American (APA)immigrants. 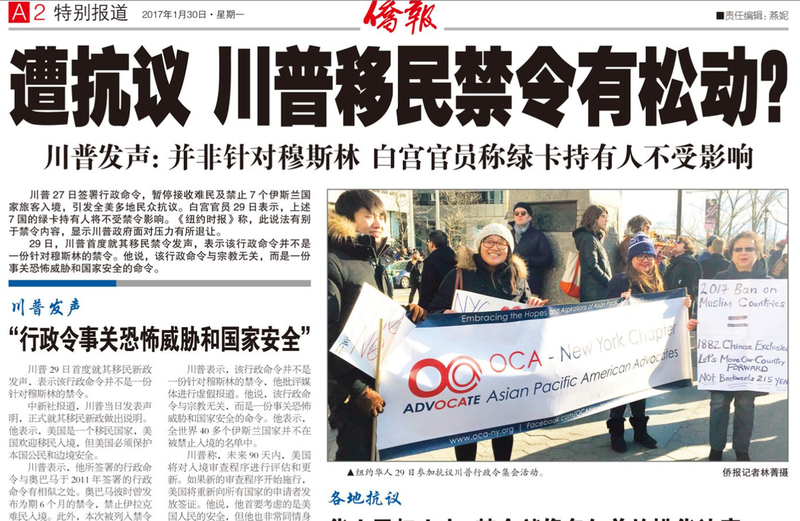 OCA opposes both H.R. 5272 and H.R. 5230. Instead of voting on a comprehensive immigration reform bill, House leadership is expected to bring a vote on H.R. 5272, a bill that would limit those eligible for President Obama’s Deferred Action for Childhood (DACA) program and prevent current DACA holders from renewing. 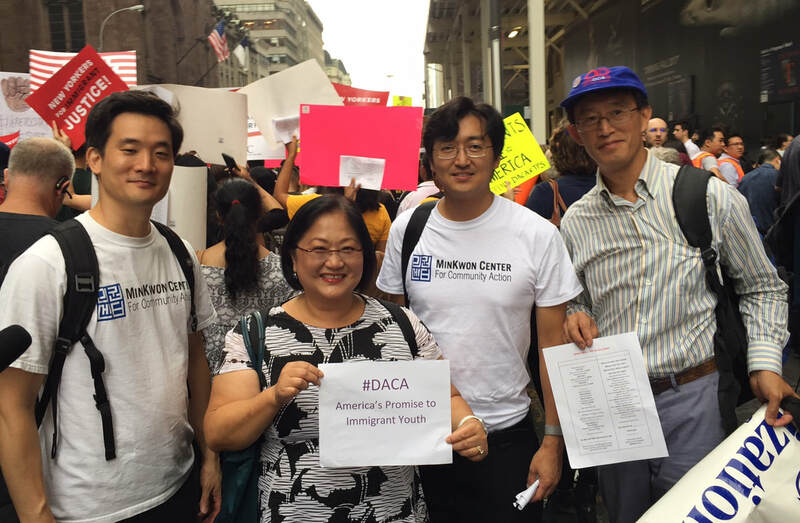 DACA has helped law-abiding and productive undocumented Asian Pacific Islander (API) immigrants who were brought to the United States as children gain an opportunity to fully embrace their potential and contribute to their communities. Reversing the progress that DACA has made would be akin to ripping the American Dream from them and forcing these individuals to, once again, hide in the shadows of our society. DACA is pivotal to our country and its residents; just because the House has yet to give us a comprehensive immigration reform bill does not mean that they must limit one of the only forms of relief for young, undocumented individuals. Additionally, the House is also expected to also bring a vote on H.R. 5230, a supplementary appropriations bill that would negatively change the procedures set in place in 2008 for unaccompanied immigrant children seeking refugee due to violence, and persecution, and trafficking. As a community of immigrants and refugees, we understand that our country must continue to protect due process for everyone and ensure fair and human procedures that assess the circumstances and situations of all individuals seeking asylum. It is not acceptable for border patrol agents to determine the validity of an asylum seeker’s claim, many of whom are traumatized from their experiences and may not have the language skills to express themselves. The APA community will continue to watch the actions and inaction of our congressional officials. Our communities, in partnership with the Latino, faith, and labor groups have released a score card showing where our elected officials stand on immigration reform. We urge our congressmembers to advocate for our communities and vote no on both H.R. 5272 and H.R. 5230.